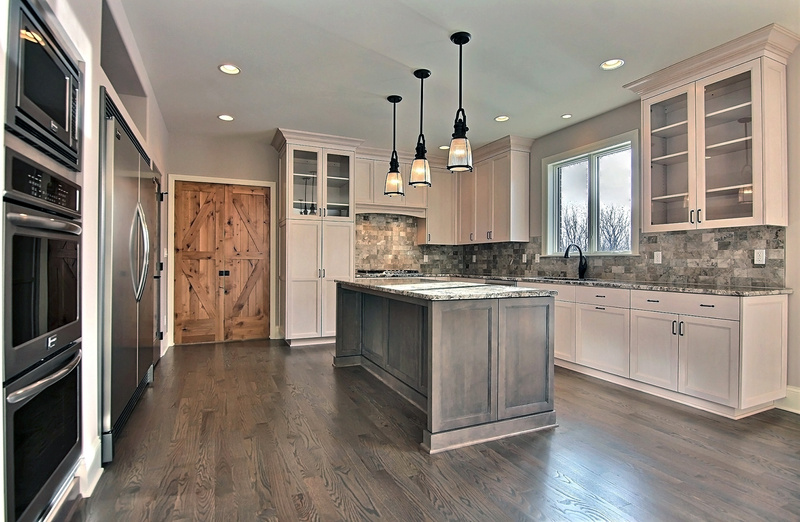 White kitchen with gray wood stained island cabinet. 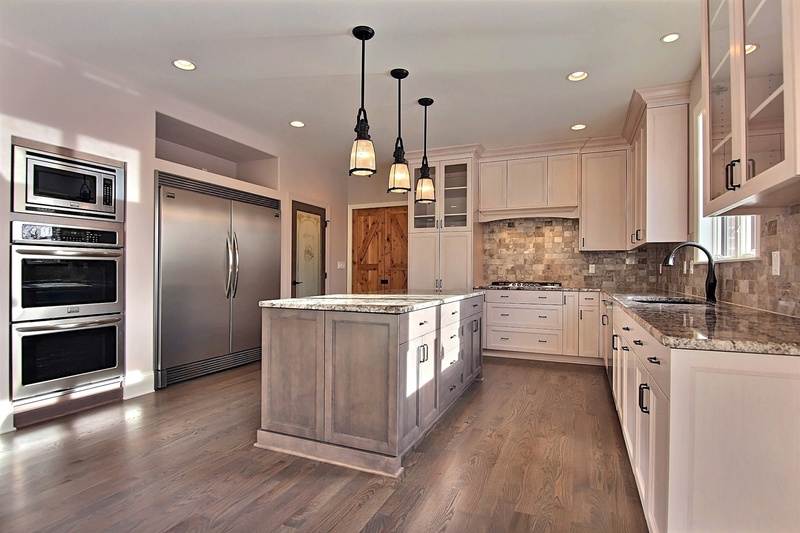 White Kitchen with Gray wood stained Island cabinet. 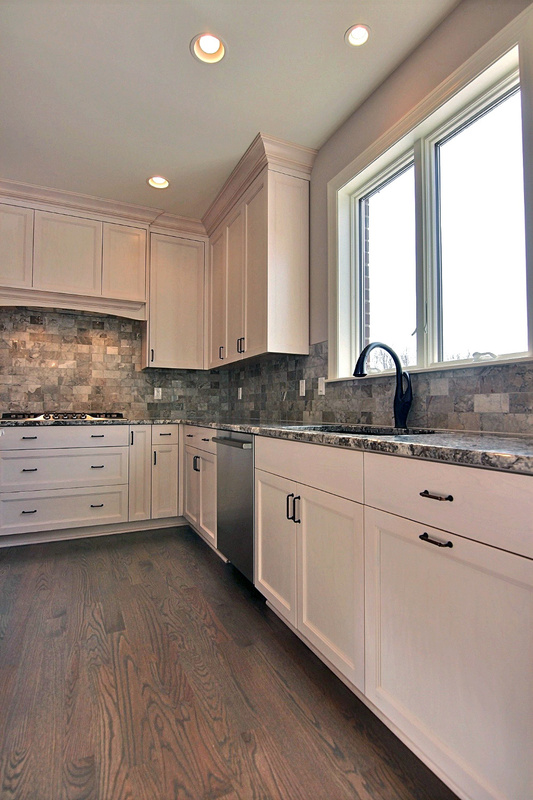 Shaker flat panel door style.